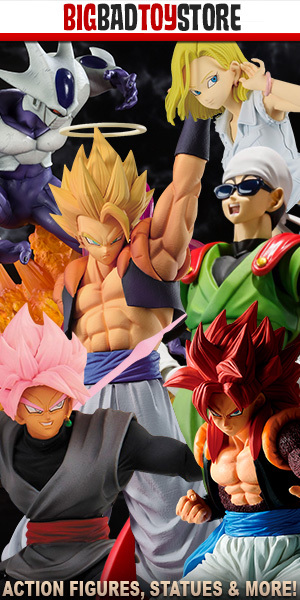 The official Japanese language Dragon Ball website posted up an interesting interview with Kaz Takahashi, of Bandai’s collectibles division. Mr. Takahashi was in charge of the S.H. 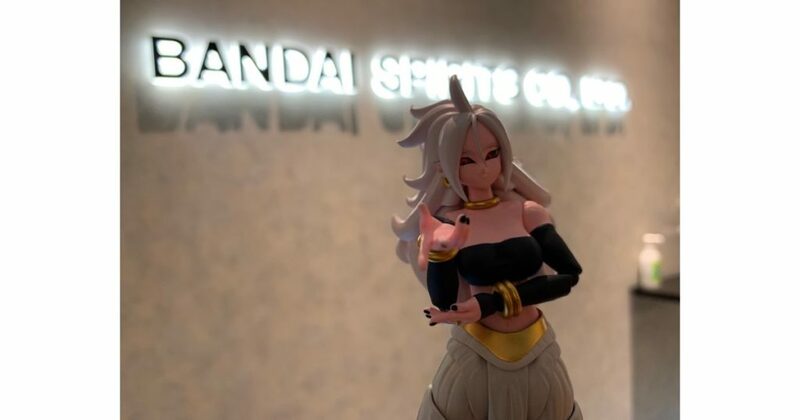 Figuarts Android 21 project and he speaks extensively on the project in this interview. Thanks for your participation today! First, can you tell us the concept of the “S.H.Figuarts” series? Kaz Takahashi: Thank you. “S.H.Figuarts” is a series of mobile figures developed by the BANDAI SPIRITS Collectibles Division. The theme is “Character expression research with articulation” and the technology of “modeling”, “mobility”, “coloring” for all kinds of figures. It’s a series of figures. The development of the “Dragon Ball” series has lasted for about 10 years since November 2009, and more than 50 items have been released in the series. As the age of the fans who buy them also varies, not only the latest work “Dragon Ball Super”, but also the childhood of Goku in the first “Dragon Ball”, Bulma, Mr. Satan of “Dragon Ball Z”, etc. The collection is set for many people to enjoy. I hear you have strong support outside support. Kaz Takahashi: That’s right. Especially in the USA, not just Dragon Ball, but also articulated figures are highly popular. Many low-priced action figures are available at shopping malls, and I feel that the culture of enjoying articulate figures has taken root since I was a child. Last year, we held a tour called “DRAGON BALL NORTH AMERICA TOUR 2018” in seven cities in North America, and all fans of “Dragon Ball” liked to see the figures, play the games and so on. Depending on the location, there may be hundreds of people in the hall, and in the locations of the statues, I really feel that foreign fans are willing to take photos and show their passion. I was able to feel on the skin that “Dragon Ball” is great even on the outside. Do you have any favorite moments or memories of “Dragon Ball”? 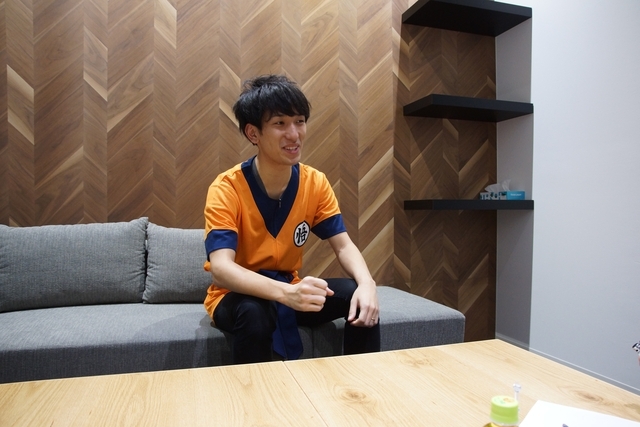 Kaz Takahashi: I started to watch anime when I was a kid with “Dragon Ball Z Buu Arc.” I was particularly impressed with the movie “Dragon Ball Z – The Fusion Reborn! Goku and Vegeta, and in my child’s mind I was,” Cool! “I remember that I became a person who likes Gogeta, a Super Saiyan, and I cried after being watched by my parents while using the” Cards ” laughs). That’s why it’s great to see the Collectibles Division now take charge of Dragon Ball. Kaz Takahashi: Yes. I took command around April 2018, which was the time when Gogeta Blue’s product planning for the movie “Dragon Ball Super Broly” began to move. When I was involved in Gogeta, I felt more and more. So, what kind of flow started planning for Android 21? Kaz Takahashi: “Dragon Ball FighterZ” was released in February 2018, and became popular around the world, and it was proposed that the original character, Android 21, could be marketed. However, we have carefully identified whether customers who are playing “FighterZ” and who know Android 21 and users of “S.H.Figuarts” were included, and also wanted articulated figures. It was necessary. So as a result of having a referral view at the San Diego Comic Con in July, and with the enthusiasm there, I decided to go ahead with the planning. Were you analyzing what the collector’s thoughts were? Kaz Takahashi: That’s right. So I was also happy to be able to take care of Gogeta’s product planning, as the “Dragon Ball” planning manager, but with the character who moved the planning from 0 onwards, with Android 21, I had a special concern. When I showed an image in San Diego Comic Con and published the image on Instagram, there was a response comparable to when I announced “Son Goku” and “Mr. Satan”. There were a number of people who were doing Android 21’s cosplay at the event, so I could formally start marketing it with confidence. After the reference exhibit, have you moved to produce large-scale products? Kaz Takahashi: Even with the reference exhibit, I was really thinking about the specs with the prototype designer. Think of three or four poses that you would like to decorate with a pose by turning it into a figure, what kind of facial expression, how much wrist parts are needed to do this posture, how much movement articulation is needed, and so on. It was going according to the idea of ​​planning. As Android 21 is sometimes referred to as a game character, it began with an analysis of whether the client’s impressions were in the fight scenes or the animated scenes. Did you have any difficulty with Android 21? Kaz Takahashi: There are many difficult parts! First of all is the hair, because if it is long it will be heavy and the head will fall and fall backward, so how far to do it? How to make the material? Can the neck support the weight? Where to prepare the hair movement? You can make beautiful with the mold at the time of modeling … and so on. In addition, in the “Dragon Ball” series, there are still few marketing results for female characters, and there were many concerns, unlike the Saiyans. When creating a female body line, it is a prototype that blends various elements of the characters so far, modeling a pair of pants like Majin Boo and a tail like Freeza … There were many points that I should be concerned about. Especially this time, I wanted to put on a pose that would put its arms like in the game, since it was impressive. However, since the bust was large and I could not mount the arms as it was, I made it possible to slide the shoulder and pull it so that the left hand could reach the right elbow. Did you think about reducing the size of the bust? Kaz Takahashi: I did not think about it. I wanted to make that posture complete, and this character is useless when the bust gets smaller. And I’m a completist. There is also the attractiveness of No. 21! Where is the greatest attraction of No. 21? What did you feel doing it? Kaz Takahashi: After all, is it a duality of good and evil? Its scrumptious cuteness and cuteness are two aspects of its attractiveness, something that the other characters do not have. As I wanted to express it with “Kishiri” and “S.H.Figuarts”, this time I attached two types of face parts for replacement and one kind of good. She is a “Dragon Ball” character, but to avoid being inferior as a “girl figure” in a way, I have often adjusted the thickness of the eye line and redesigned the pupil many times and sought more quality. Even in the case of the previous hair, in the game, the colors are slightly different before and after the transformation. I adjusted it many times as I looked at the game screen so that it could be seen in pink or white, depending on the angle, so that it matched any expression. I talked a lot, but I wanted to hug Android No. 21 (laughs). Even in the company, sometimes I get angry when I put a lot of effort into No. 21 (laughs). Many of the first attempts at “SH Figuarts” are included! Kaz Takahashi: That’s right. They say it’s cute, but I think it’s the best thing with “S.H.Figuarts” having them decorating, side by side with Goku and having the battle scene replayed. That is why I adopted the figure after the transformation instead of the white coat. We also express the accessory pieces, such as hand, so you can enjoy the fight scene to the fullest. I hope you feel the duality of cuteness and strength. Thanks for the valuable story! The thoughts and feelings of Mr. Kaz Takahashi were conveyed firmly! Very nice interview! Android 21 is a figure I’m really excited for! Can’t wait for Android 21.